HomeComic PreviewsRo-Busters: The Complete Nuts And Bolts Vol.1 Out Now! 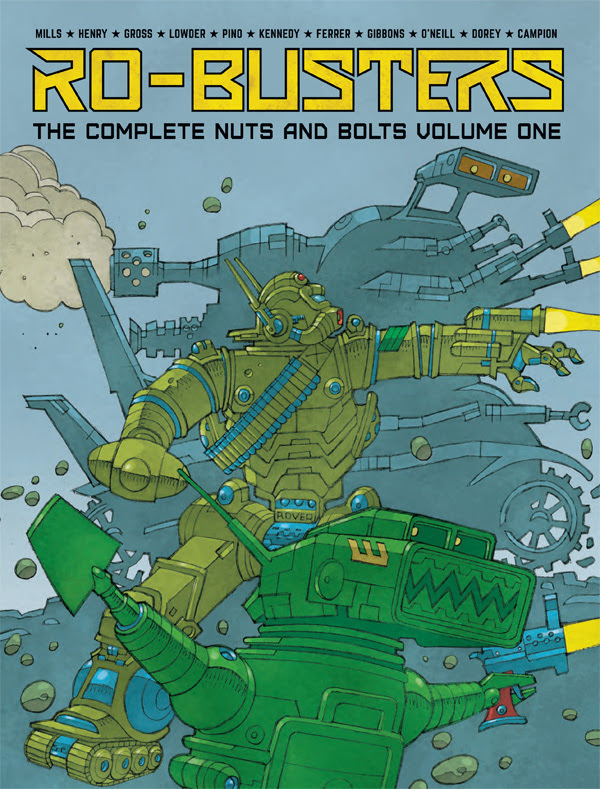 Ro-Busters: The Complete Nuts And Bolts Vol.1 Out Now! Get volume 1 of this series from the pages of 2000 AD digitally now! 2000 AD brings you the first volume of the Ro-Busters, featuring the restored orginal coloured pages. Marvel at the adventures of Ro-Jaws, Hammerstein, Mr. Ten Percent, Chatterbox and Mek-Quake as they take on the toughest jobs in the universe – and plan the liberation of robot slaves! From the creative team behind the original ABC Warriors these stories are written by comics legend Pat Mills (Sláine) and featuring the art of some of the biggest names in the industry, including Dave Gibbons (Watchmen), Kevin O’Neill (The League of Extraordinary Gentlemen) and Mike McMahon (The Last American), this massive dose of Thrill-power is a must-have for all comics fans.